Experience incredible natural and man-made wonders on this epic tour. 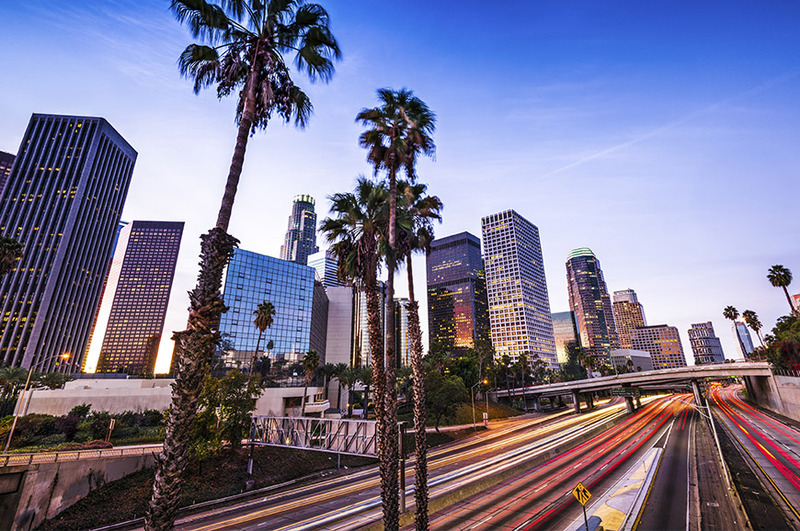 Starting in Los Angeles, you'll see highlights including the TCL Chinese Theatre and have the chance to visit Warner Bros Studios. 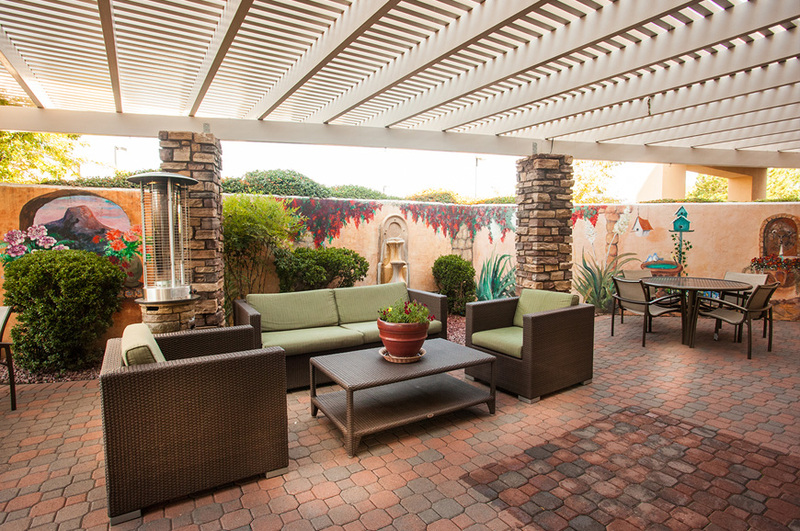 Enjoy a stay in San Diego, a city perched on the edge of the Pacific Ocean, then take a journey through the Arizona Desert. A visit to the Grand Canyon is an amazing trip of a lifetime, and an optional flight over comes highly recommended. You'll travel along a section of Route 66 to the neon-lit wonderland of Las Vegas before heading back to California through the Mojave Desert. The highlights keep on coming as you explore Yosemite National Park, then cross San Francisco's famous Golden Gate Bridge for a two-night stay in this vibrant city. Now it's time to slow the pace a little as you journey along one of America's most picturesque routes, the Pacific Coast Highway, and enjoy beautiful Long Beach. 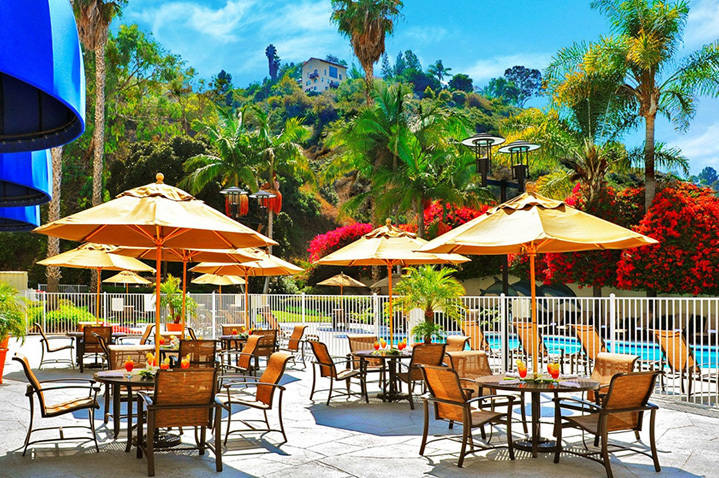 ​Fly to Los Angeles today, where you'll stay for two nights. Join your travelling companions for an included drink this evening. We'll get to know Los Angeles today on an included morning sightseeing tour of this sprawling city. Highlights include Hollywood, where we'll see the TCL Chinese Theatre, whose courtyard features the hand and footprints of more than 200 stars of stage and screen. This afternoon we offer an optional excursion to Warner Bros Studios. On a behind-the-scenes tour you'll discover the secrets of Hollywood past and present and see how hit TV shows are made. This morning we'll visit the chic coastal resort of Santa Monica, where you can take a stroll along the 100-year-old pier, a landmark which is lined with attractions including its famous Ferris wheel. We then continue to San Diego. 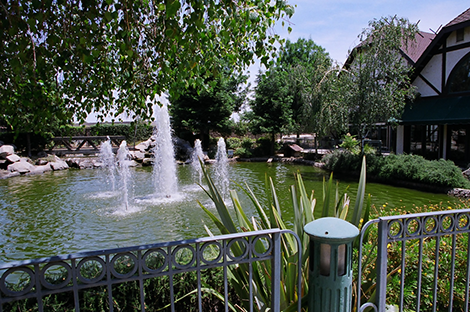 After free time for lunch here, we include a tour of this delightful Spanish-influenced city. Explore San Diego your own way today, or perhaps choose to join an optional cruise around San Diego Bay. As you sail on the calm waters, sit back and take in the views as you pass by Seaport Village, the seaside community of Point Loma and many other scenic attractions. We're heading to Prescott today on a drive which takes us through a spectacular desert landscape. We'll cross the border into the state of Arizona and an area known as the 'Valley of the Sun', thanks to its many days of sunshine and absence of rainfall for much of the year. On arrival in the town of Prescott, why not join our optional dinner, which is a traditional western experience not to be missed. 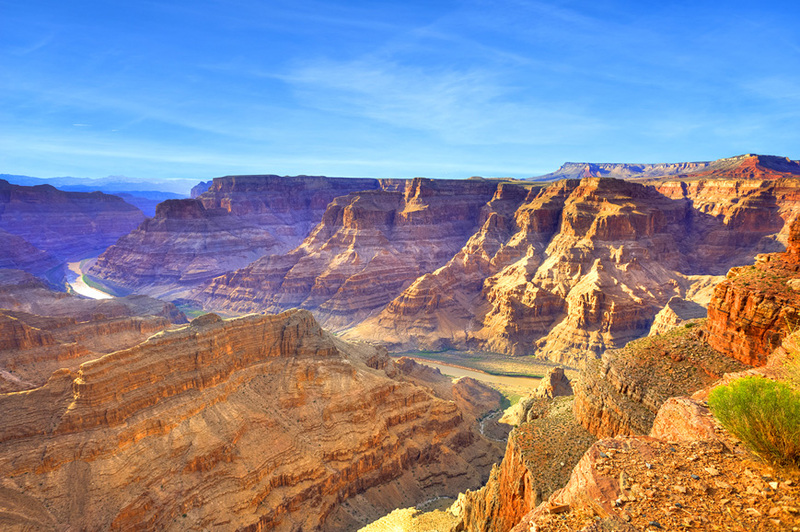 Today is the day that you visit one of the world's most iconic natural wonders, the Grand Canyon, which is sure to be a highlight of your holiday. This 14-mile-wide gorge is a spectacular sight however viewed, but nothing quite compares to taking in its magnificence from the air. You can do that today if you choose to take an optional flight - a truly unforgettable experience. You're going to travel on part of the legendary Route 66 today, as we journey westwards to Las Vegas. On the way we're going to pass the mighty Hoover Dam, a feat of 20th century construction which towers above the Colorado River. Built in 1935, this is still one of the country's largest power plants and is a spectacular sight. 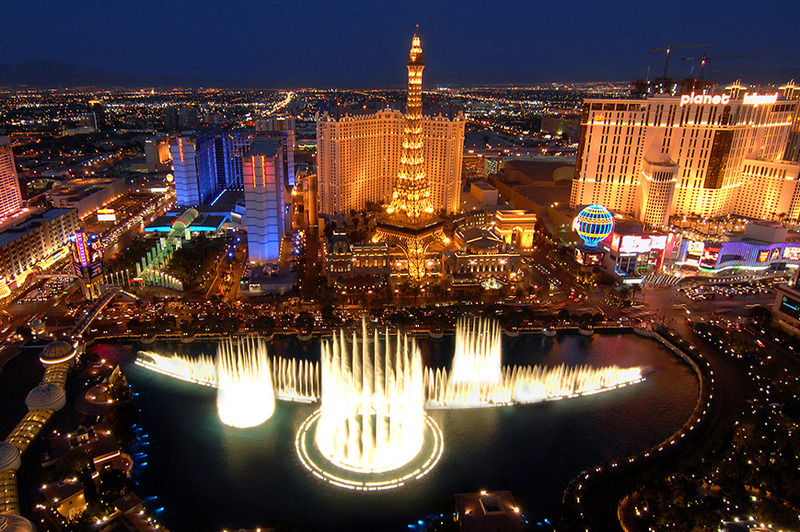 An equally amazing sight is the desert city of Las Vegas, and if you want to see this dazzling neon-lit wonderland in all its glory you can join an optional tour tonight. Today is free for you to explore Las Vegas at leisure. Take a stroll up and down the Strip and dip into the hotels that line it – from the dancing fountains outside the Bellagio to the gondolas that traverse the 'Grand Canal' at the Venetian, there is so much to see and do. Be sure to step inside as many as you can - you'll discover everything from shopping malls and casinos to rollercoaster rides and even an aquarium. 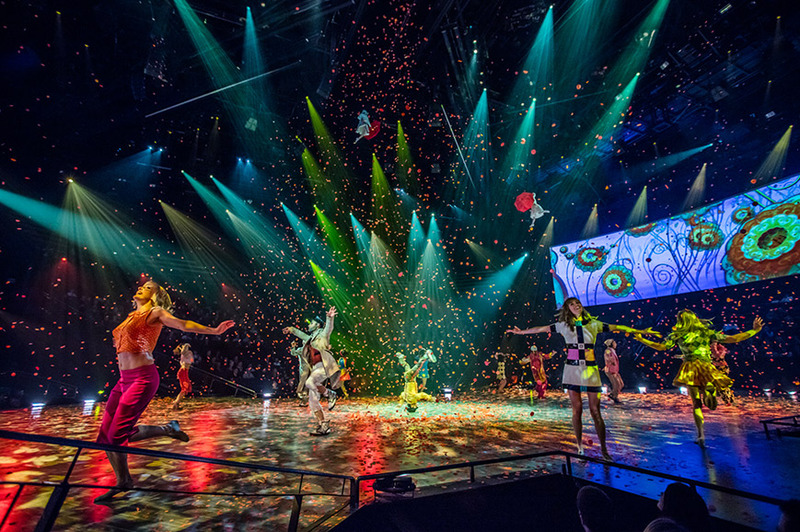 This evening why not join an optional excursion which gives you the chance to enjoy one of the famous Cirque du Soleil shows, with dinner included. ​We're going to drive back into California today, where we'll stay overnight in Selma. Our journey will take us through the Mojave Desert, an arid landscape that is dotted with Joshua trees. These spiky evergreens grow nowhere else in the world, and are striking to see. Yosemite National Park is best known for its abundance of waterfalls but during your full day here you'll see so much spectacular scenery, from deep valleys and dramatic mountain peaks to ancient sequoias and towering granite monoliths. We'll stay overnight in Mariposa before heading to San Francisco for a two-night stay. ​We've left today free so you can explore at leisure. You could take a stroll to Chinatown, where Grant Avenue is the city's oldest street, or maybe take a ride in one of the famous cable cars. We also offer a full range of optional excursions if you'd like to see more. 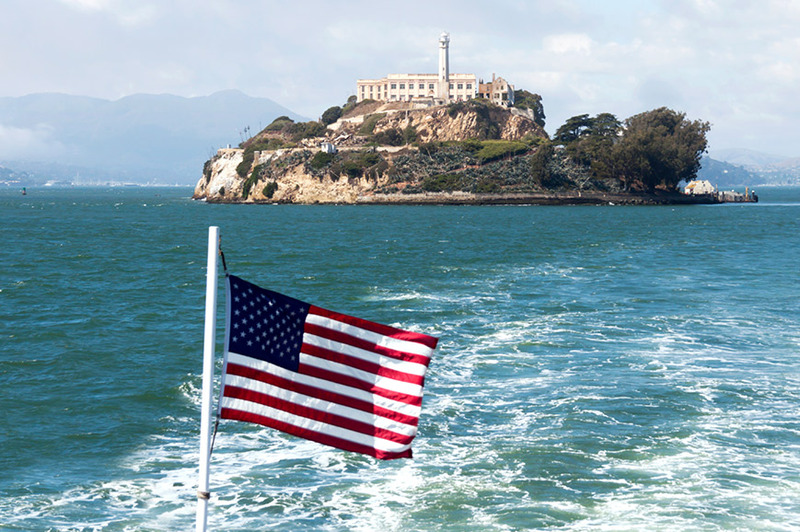 You can take a thrilling helicopter ride over and under the Golden Gate Bridge, or join an 'Escape from the Rock' cruise, which takes us past the former island prison Alcatraz. ​The picturesque Monterey Peninsula is our destination today, where a visit to the world-renowned Monterey Bay Aquarium is a must, and you can do just that on our optional excursion. More than 35,000 creatures, from otters and penguins to jellyfish and sharks, live in what is one of the world's leading conservation organisations. ​A drive along a section of one of America's most famous and picturesque routes, the Pacific Coast Highway, takes us to the idyllic seaside town of Carmel. From here we'll take the scenic 17 Mile Drive through Pebble Beach and the coastal city of Pacific Grove to San Luis Obispo, where we stay tonight. ​You'll experience even more beautiful scenery today as we take to the road and head further down the coast to Long Beach. 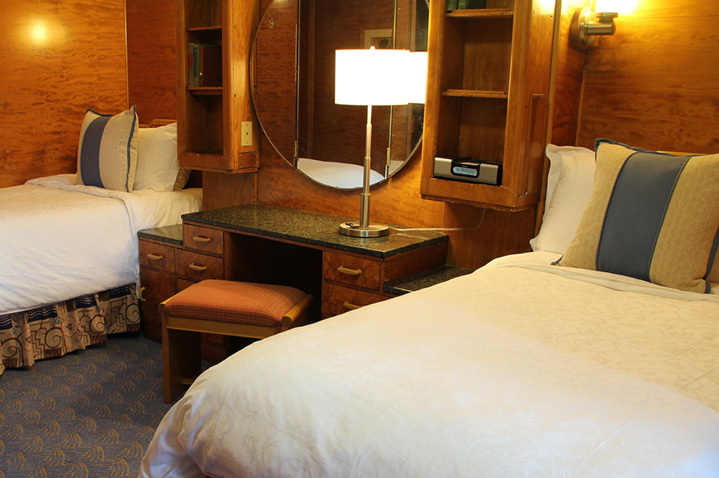 On the way we'll stop at Santa Barbara, where we can take in the lovely views of gorgeous beaches and majestic mountains.​ In Long Beach we'll stay in unique accommodation, the Queen Mary, which is moored here and has been turned into a fabulous hotel. 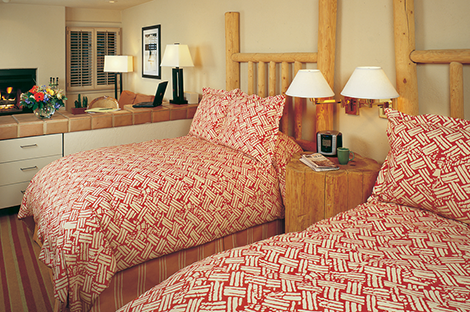 This is an attraction in its own right, so be sure to head off and explore once you've unpacked. You've a free day to spend as you please. You could soak up the sun on the beach, or why not join an optional excursion to Catalina Island. We'll reach Catalina by ferry, and step ashore on the island for a tour. Boasting a Mediterranean climate, white sands and swaying palms, this is the perfect paradise island and you'll have time at leisure to explore. 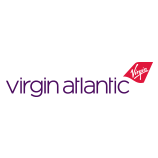 ​We'll transfer you to the airport in Los Angeles on day 17 for your return flight back to the UK, arriving on day 18. 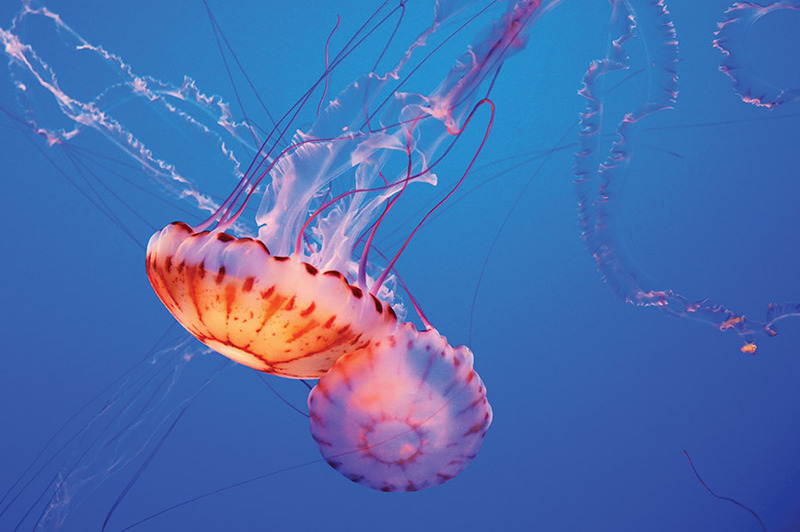 There are aquariums—and then there’s the Monterey Bay Aquarium. 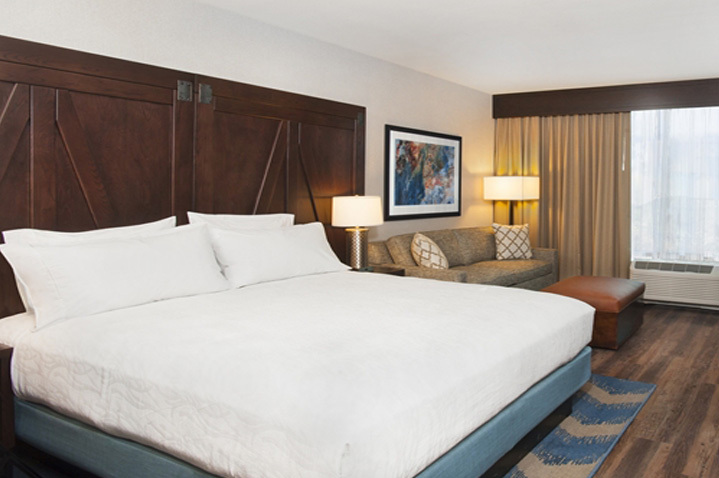 Located on Monterey’s historic Cannery Row and overlooking the vast national marine sanctuary it explores, this jewel of California’s scenic central coast is rated No. 1 for families and a Top 10 national attraction. Its spectacular living exhibits explore the diverse habitats of one of the world’s richest marine regions, and well beyond too. The Canyon Spirit is a Grand Canyon helicopter tour that departs from the South Rim of the Grand Canyon taking you over the beautiful Kaibab National Forest, home to the world's largest ponderosa pine forest. Upon reaching the edge of the canyon, the South Rim gently drops away as the North Rim and eastern end of the canyon come into view - one of the most spectacular views in the entire canyon. In the distance, it is possible to see the Painted Desert and the Desert View Watchtower designed by the Hopi Indians. Your journey continues as you follow the Colorado River upstream to where it merges with the Little Colorado River. View Marble Canyon and Point Imperial as you fly through the canyon and climb above the North Rim. Experience fabulous bird's-eye views once on the North Rim, and then head south through the Dragon Corridor, the widest and deepest part of the canyon. As you cross over the Colorado River, you'll fly over the South Rim and the Kaibab National Forest landing back at the Grand Canyon Airport. This Grand Canyon South Rim tour will provide you with memories of a lifetime. Please note: The maximum weight limit per person is 136.4 kilos / 21.43 stone. Anyone over this will be required to purchase an additional seat. Please advise your tour manager of your weight as they will need to pass this to Maverick, who have advised that guests with inaccurately stated body weights may be cancelled with no refund. Your tour manager will need to gather everyone's weight at least 10 days ahead of the flight and advise Maverick. The combined weight of the guests must not exceed the limit for the helicopter or the flight cannot be confirmed. Where possible please advise your weight at the time of booking the excursion. This excursion has limited availability so booking in advance is recommended. Duration: 45 – 50 minutes Minimal walking Spectacular views. San Francisco is fun, multi-cultural, artistic and business-like, all rolled into one – it offers something for everyone. 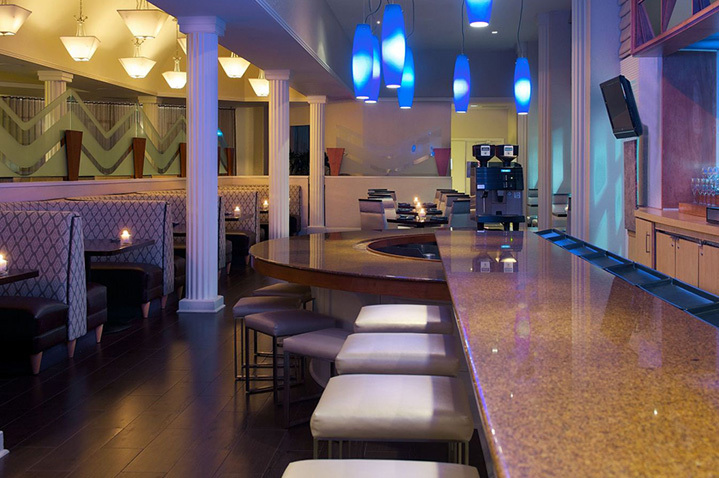 We just love it, especially at night when it offers a sparkling and cosmopolitan nightlife. So come and join us, as your expert tour Manager hosts an evening of fun and camaraderie over a three-course dinner with a glass of wine at one of the city’s fabulous eateries (included). There will also be a short tour of the city’s illuminated landmarks including the new 'Bay Bridge light show', a light display that the Bay Bridge is performing every night for the next 2 years. 25,0000 LED lights, 1.8 miles in length, operating from dusk till 2am and never repeating the same pattern. Evening Tour - Minimal Walking - Not To Be Missed! 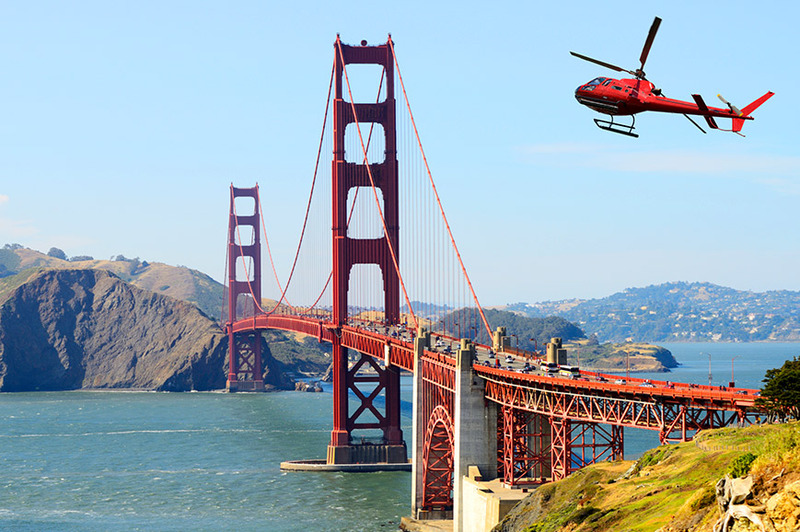 Board a Bell Jet helicopter for an exciting adventure above San Francisco. 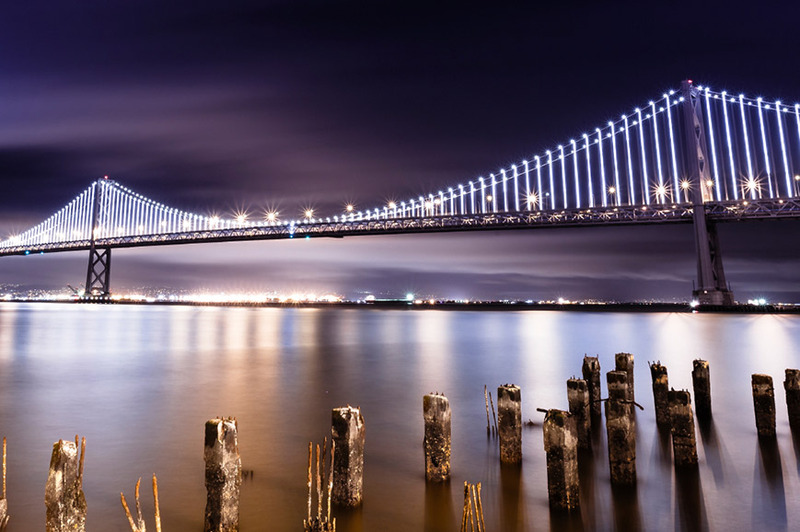 Take in the renowned hills of San Francisco and its striking cityscape, see famous landmarks such as Alcatraz Island and enjoy a bird’s eye view of the spectacular bridges spanning the Bay. You will even soar underneath the famous Golden Gate Bridge itself – a once-in-a-lifetime experience! (Weather permitting). The flight will be made memorable and informative with a spontaneous narration from your professionally trained pilot. Return transportation included. 20 minute flight - Minimal walking - Once in a life time! Warner Bros. Studio Tour Hollywood brings you closer to the entertainment you love. You'll never see Hollywood the same way again as you explore the working sets and actual sound stages where the biggest names in entertainment made history. From The Big Bang Theory to Batman and beyond, the Warner Bros. Studio Tour Hollywood takes you behind-the-camera for a revealing look at the magic of Hollywood. 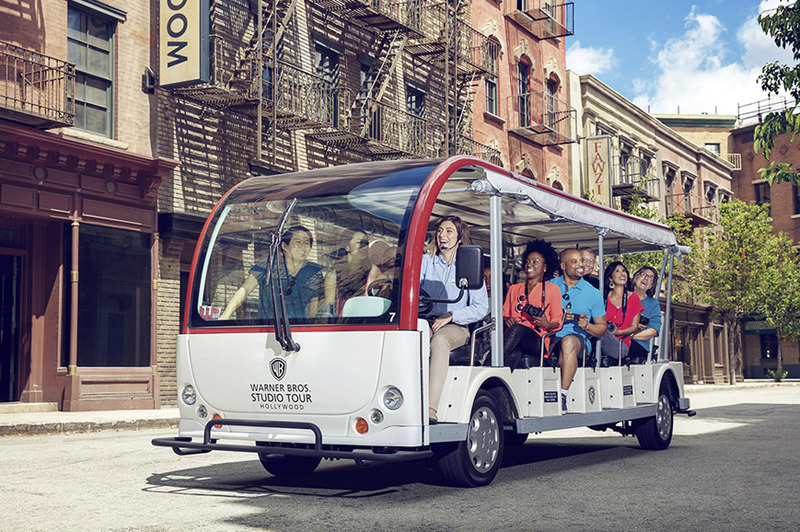 Your knowledgeable tour guide will take you through backlot streets and sound stages. You'll also get to check out Stage 48: Script to Screen, a new interactive sound stage where you can learn about the production process of a film or TV show, sit on the couch at Central Perk on the actual set of Friends, become Hobbit-sized at our forced perspective special effect table, soar above Hogwarts on a broomstick and much more. Make sure to visit The Archive, with two floors of memorabilia, including costumes and props from the Harry Potter films, and explore the Picture Car Vault, currently featuring all the Batmobiles from the celebrated film series. Half day - moderate walking - an unmissable experience. soundtrack sets the backdrop for thrilling aerial acrobatics, colorful new imagery and reimagined choreography. Enjoy dinner and a show Las Vegas style. Evening event - minimal walking - an unforgettable experience. 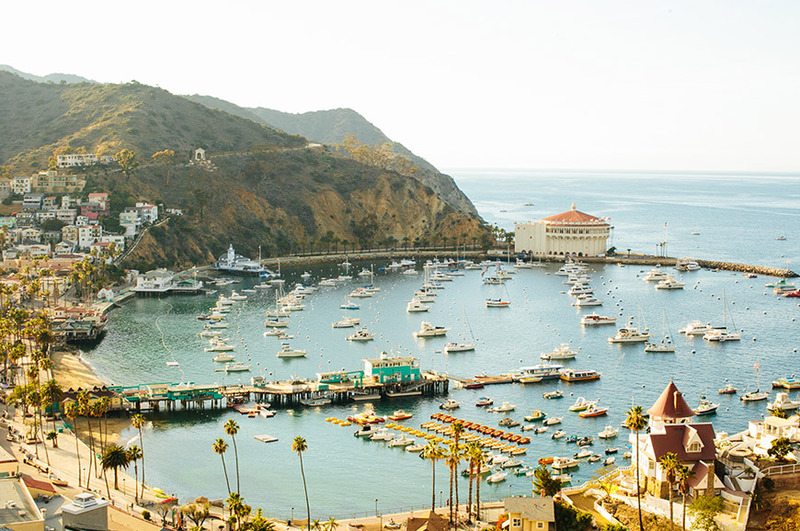 Let us whisk you away to Catalina Island and the beautiful city of Avalon, a Mediterranean-like town just 22 miles off the coast of Southern California. Travel across the sea for about an hour in comfort and stye before we visit the beautiful city of Avalon. We take a bus ride through the town and hills as you learn the history and facts of the island. With breathtaking views, this tour will allow you see a side of the island you will never forget. 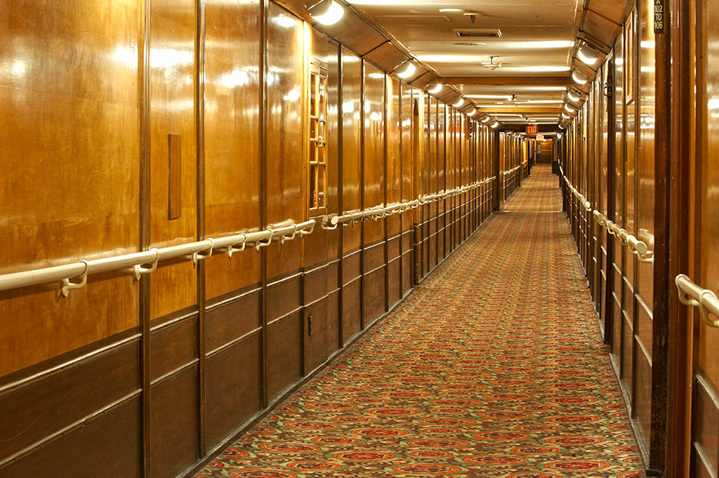 We than visit a “Casino” which actually means gathering place in Italian, so enjoy a 45-minute guided tour through this Art Deco masterpiece that was built in the 1920’s. Prepare to be transported back in time as you enter the lobby of Avalon Theatre, which has been fully restored to its original grandeur, complete with art deco furniture, Tiffany-esque lights and curved ceilings adorned with gold-leaf accents. Feel the historic vibe of the world-famous ballroom where thousands once grooved to the sounds of big band music. Be sure to step out on the Casino’s Romance Promenade, which offers some of the most spectacular views of Avalon. On this 90 minute cruise you will hear chilling tales of exciting escape attempts and unscripted accounts of life on the rock. After you sail under the iconic Golden Gate Bridge, you’ll circle Alcatraz Island and see every angle of this mysterious island. With thrilling sound effects and stories about famous inmates like Al Capone, Billy Cook the Killer, and Clyde Johnson’s famous escape attempt, you’ll have a clear picture of what life was like in this maximum-security prison when it was the most feared institution in the American penal system. Enjoy a hearty western style dinner and evening at The Palace, the oldest frontier saloon in Arizona and the most well-known, historic restaurant - saloon in the state. 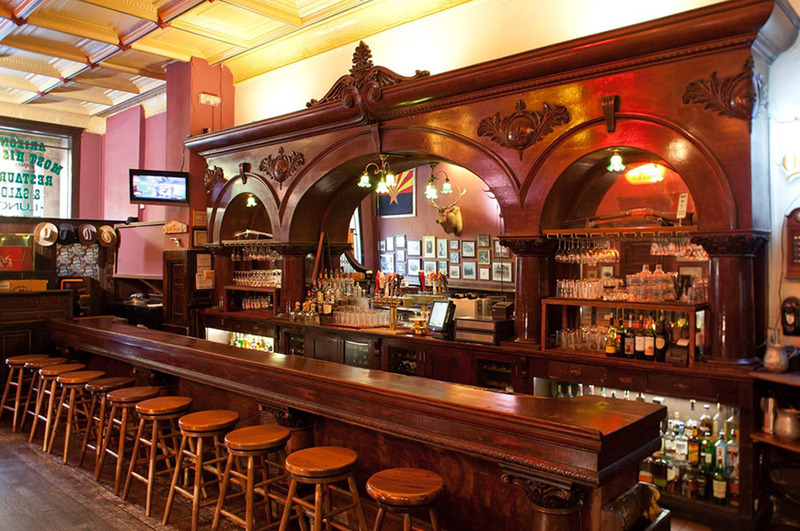 It once boasted patrons such as Wyatt Earp and Doc Holliday and the feel of the old West still lingers in the air, captured in the warm wooden floors, old plaster walls, tin ceiling and the original quarter sawn oak and cherry bar. Originally built in 1877, an all American style restaurant, the Palace also features a mini-museum with old photographs, posters of Hollywood films shot at The Palace and antique gambling and mining display. San Diego sits on one of the world’s great natural harbours. Once on board your comfortable cruise boat just sit back and relax whilst admiring the fabulous cityscape and fascinating bustle of harbour life. During the one-hour cruise around the North or South Bay professional crew members bring to life the city’s rich history and military connections, whilst pointing out local landmarks and regaling you with interesting facts. 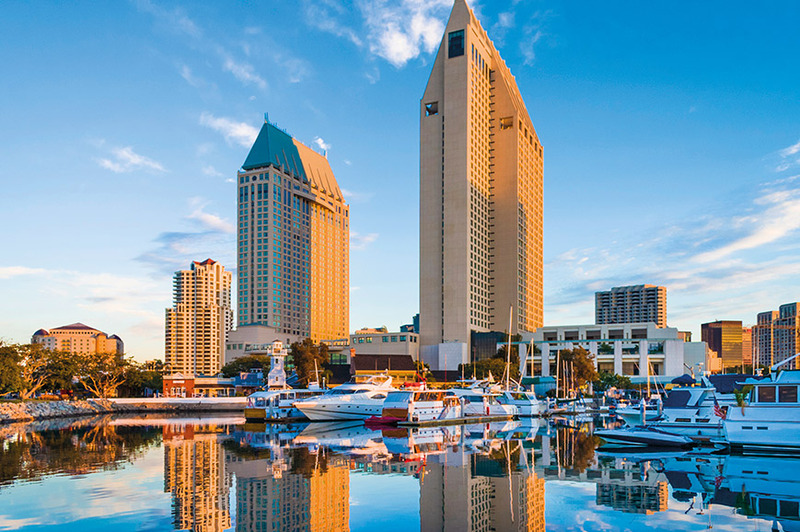 You will also get to visit Seaport Village for an opportunity to browse the independent boutiques, stroll the harbour-side or get a bite to eat in one of the many food outlets. This tour offers tremendous value for money as you will also get a chance to explore the historic old town district as well. Minimal/Moderate walking - Scenic - Areas of interest! 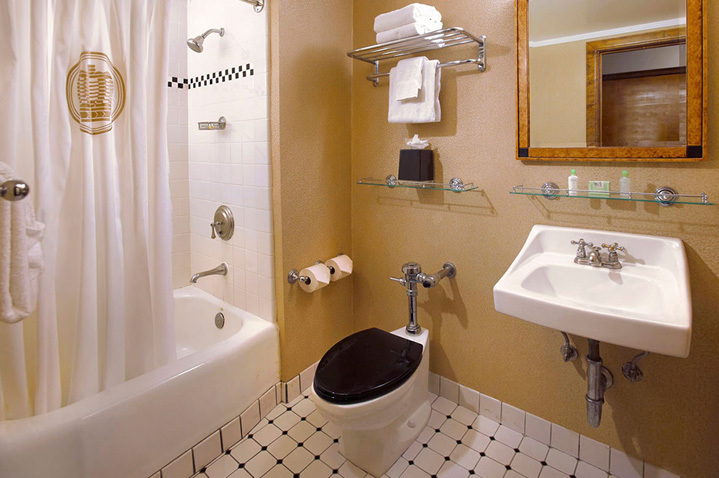 This hotel has a lot to offer to its guests, relaxed rooms feature en-suite facilities, free Wi-Fi and flat-screen TVs. 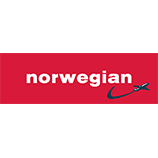 Additional facilities include microwaves, minifridges and coffee-making facilities. 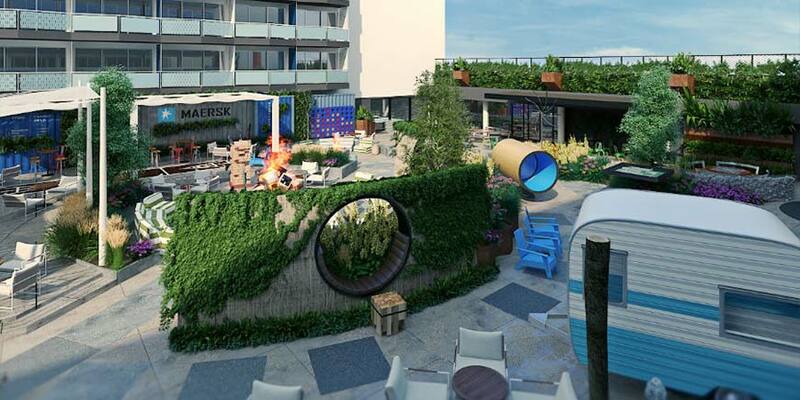 Amongst other hotel facilities guests can find a restaurant, a gym and an outdoor swimming pool surrounded by a sundeck with loungers. 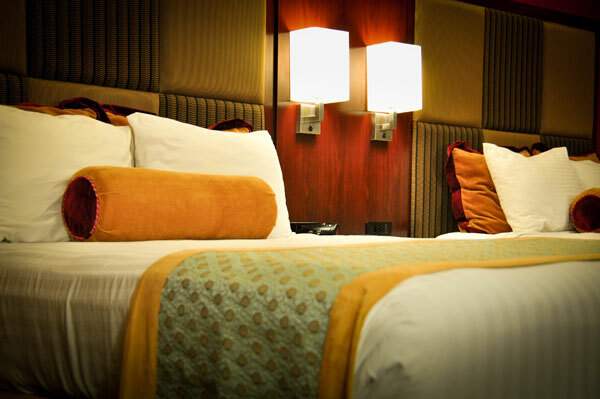 Hotel rooms, featuring warm furnishing and floor-to-ceiling windows, have en-suite facilities, flat-screen TVs and minifridges. 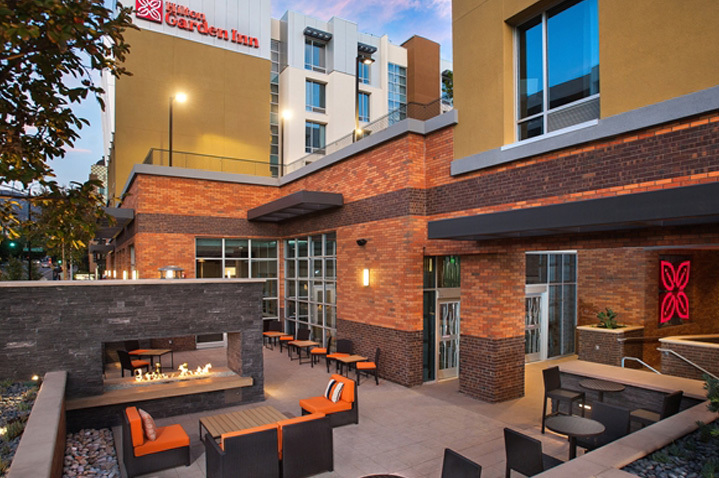 Other hotel amenities include heated outdoor swimming pool, hot tub, gym, restaurant with traditional American cuisine and coffee bar in the lobby. Complimentary Wi-Fi is available in the public areas. 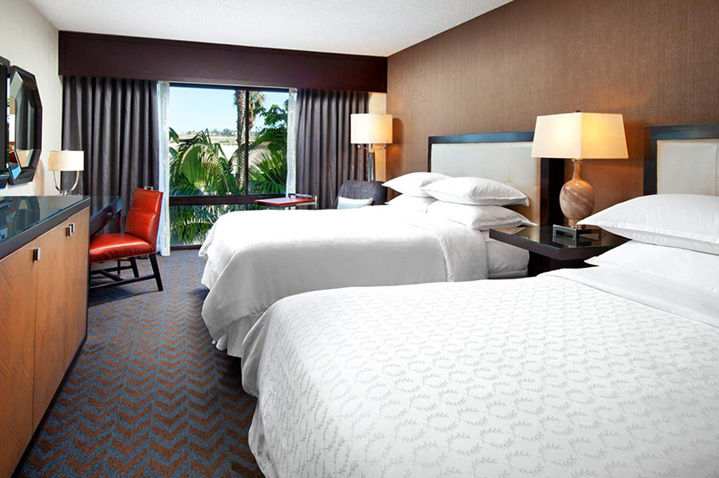 Modern rooms feature free Wi-Fi and flat-screen TVs with premium cable channels. 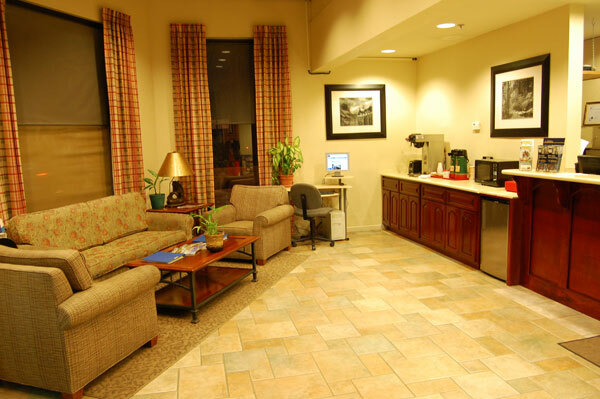 There is also a tea/coffee-making facilities, a microwave and a minifridge located in each room. 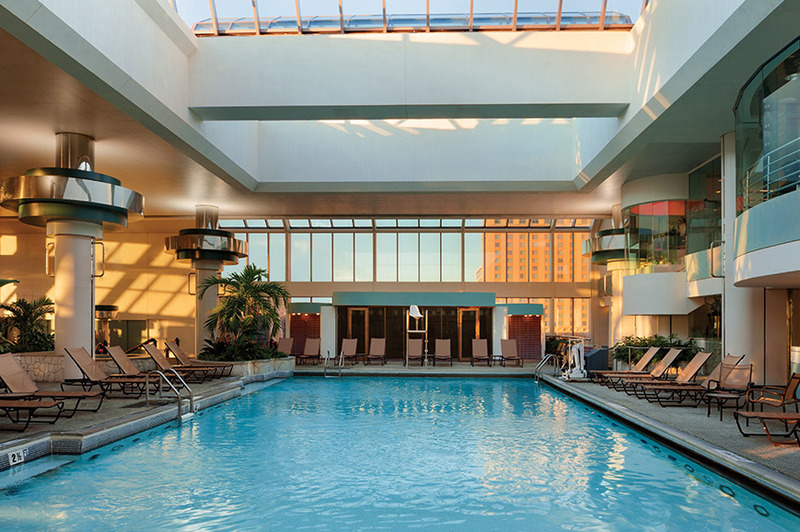 Other hotel facilities include an indoor swimming pool, a hot tub and a fitness centre. 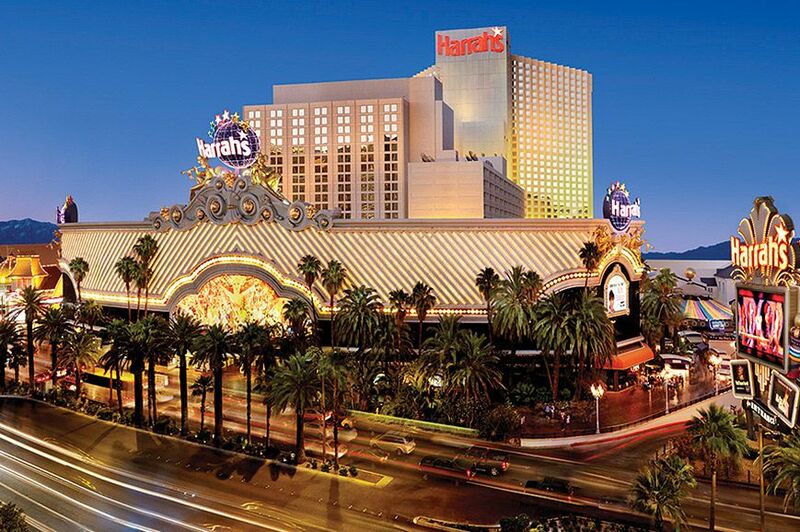 Harrah’s Las Vegas Hotel & Casino is situated at the heart of the Las Vegas strip. 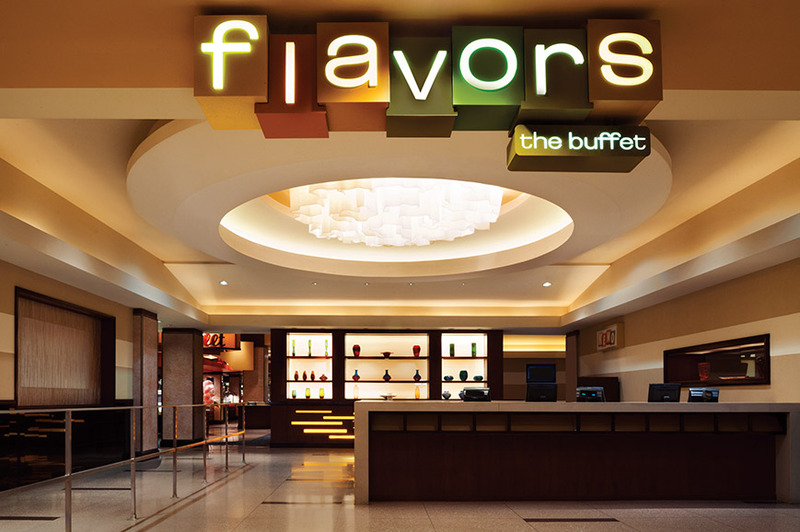 With a range of different restaurants to choose from you’ll be spoilt for choice at this hotel. 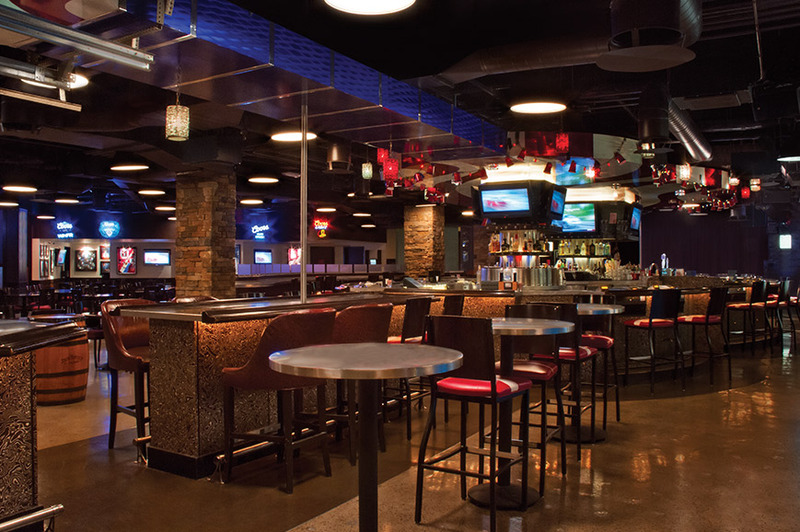 From a Steak house, to a Bar and Grill, and even an Oyster Bar. The hotel also has a Starbucks. Why not enjoy a drink at the hotel bar if you want to unwind after exploring all day, the hotel bars have a choice of beers and cocktails for you to choose from. Or enjoy a poolside cocktail while you enjoy the warmer climates by the outdoor swimming pool if you choose to opt for some relaxation during your time here. All hotel rooms are furnished with a mini-bar and a TV. 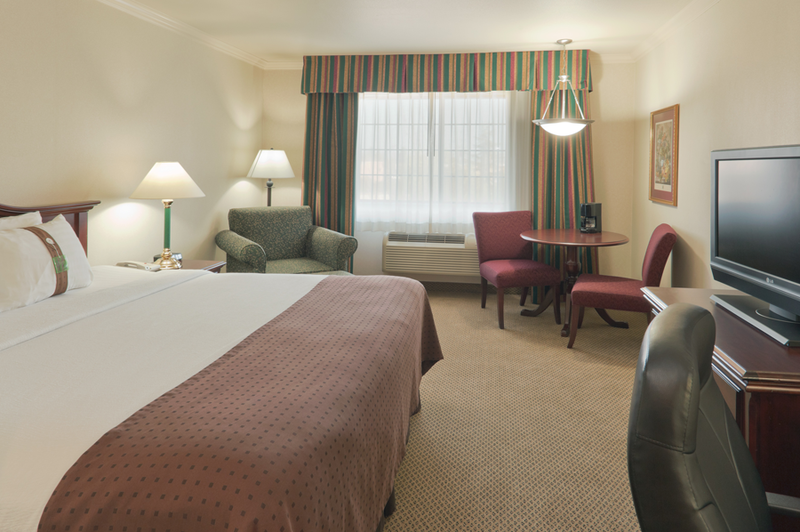 The Swan Court Holiday Inn Hotel is situated in Selma. 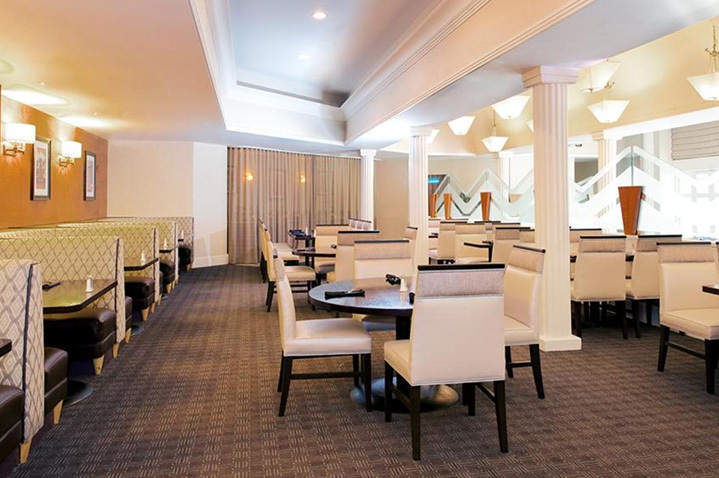 Hotel facilities include a restaurant and a lounge. Bedrooms have private facilities, air-conditioning, hairdryer, complimentary Wi-Fi, tea/coffee-making facilities and a TV. 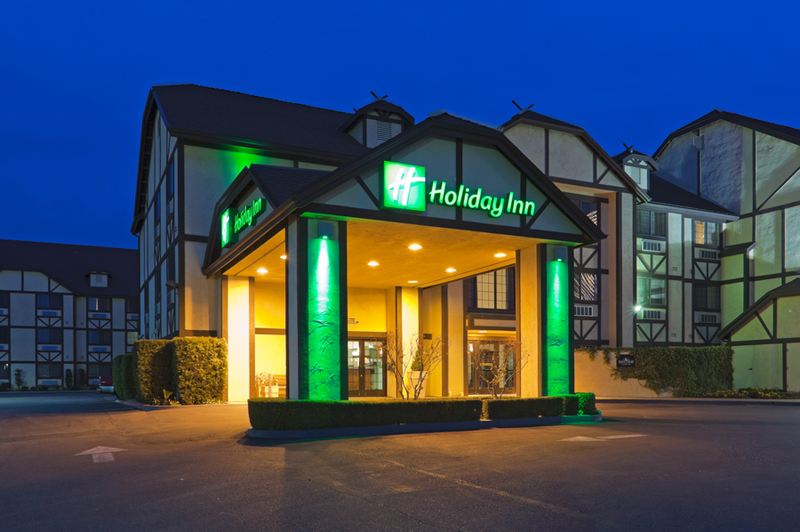 Situated close to Yosemite and Sierra's and in a fantastic small town location. 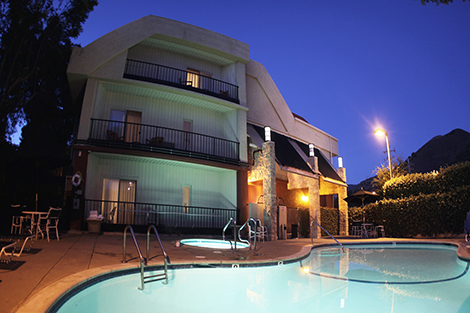 Hotels facilities and amenities include a outdoor swimming pool, spa, airport shuttle, Wi-fi and private room facilities. 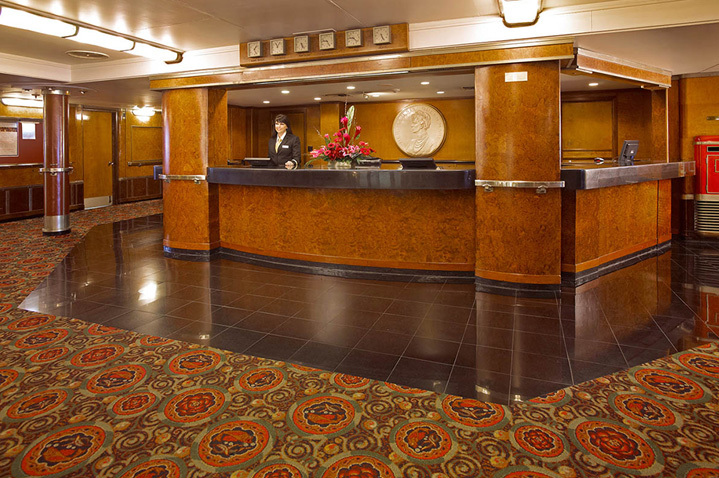 Hotel Zephyr is positioned in San Francisco's premier shopping, dining, and entertainment district; Fisherman's Wharf. 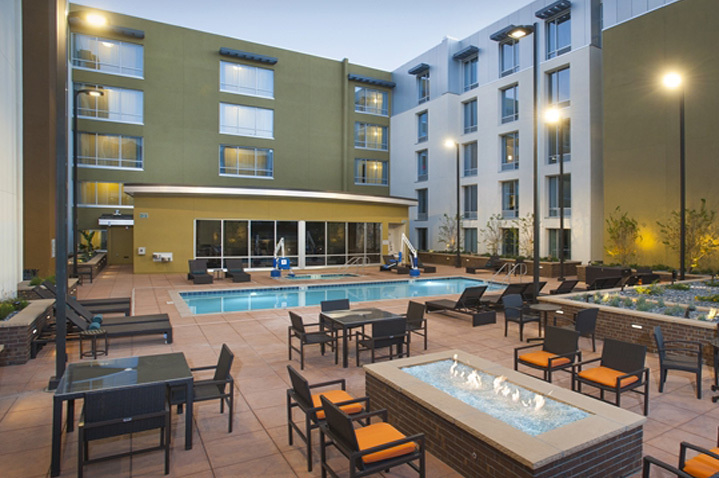 Staying at the Hotel Zephyr makes it easy for you to explore the very best attractions of the San Francisco Bay Area. 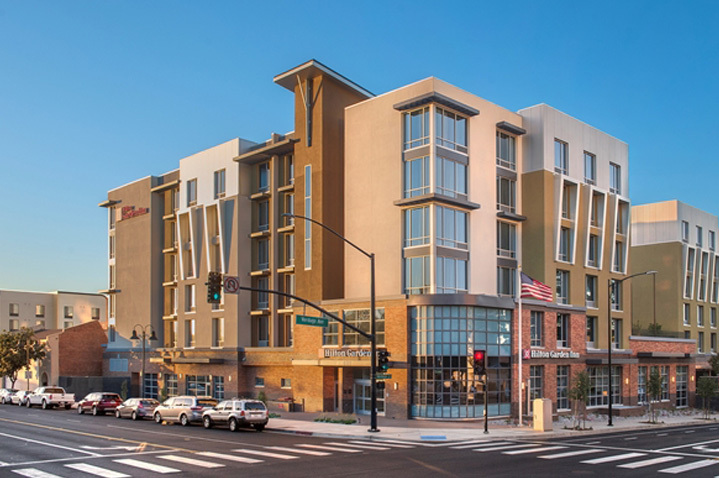 The hotel is one city block in size and is set between Beach Street and Jefferson Street on East-West Streets and between Mason and Powell Streets North-South. 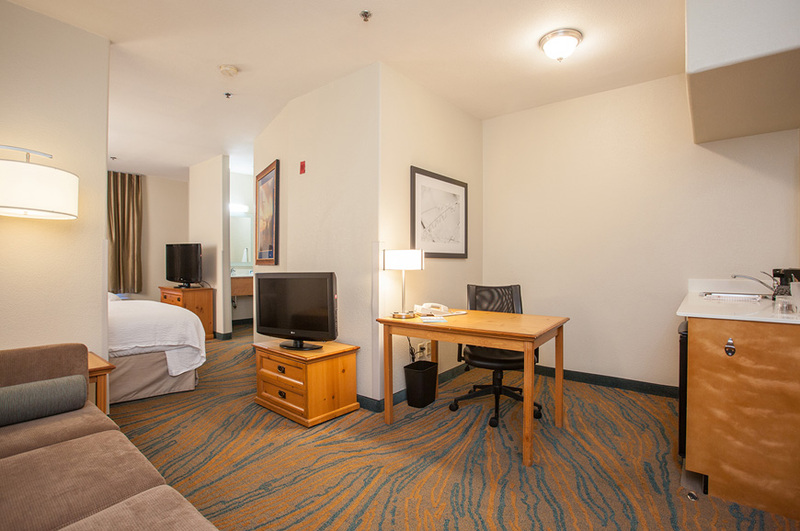 Guests can walk across the street to explore the world-famous Pier 39 to see the historic Alcatraz Island and the Golden Gate Bridge in one seamless panoramic view. Or walk two blocks to catch a quick cable car ride to Union Square, North Beach, or Chinatown. 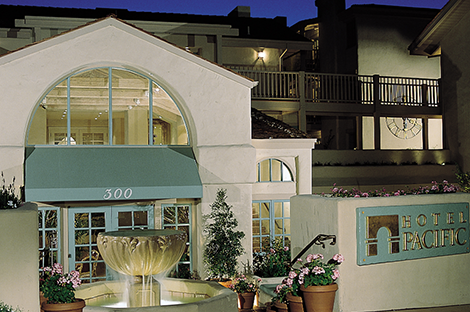 The 4-star Hotel Pacific is ideally located in downtown Monterey. 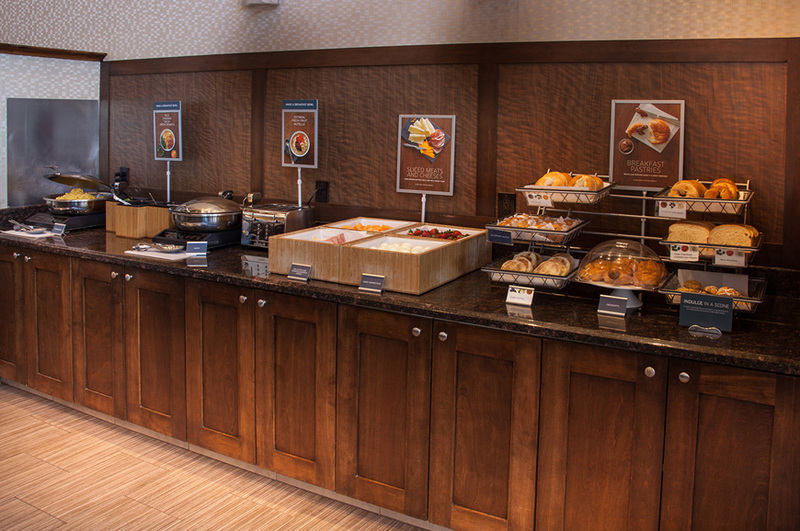 Hotel facilities include a breakfast room. Bedrooms have private facilities, air-conditioning, safe, complimentary wi-fi, tea/coffee-making facilities and a TV. 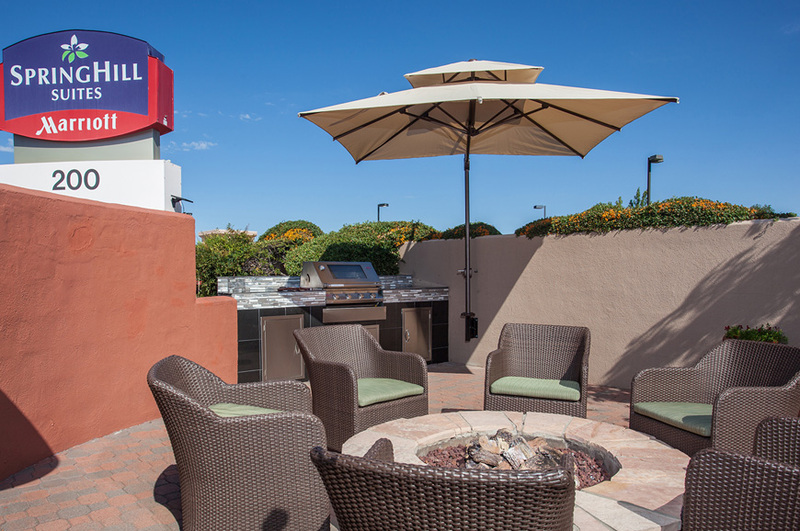 La Cuesta Inn in San Luis Obispo is close to several beaches and within walking distance of the tempting boutique shops of downtown San Luis Obispo. 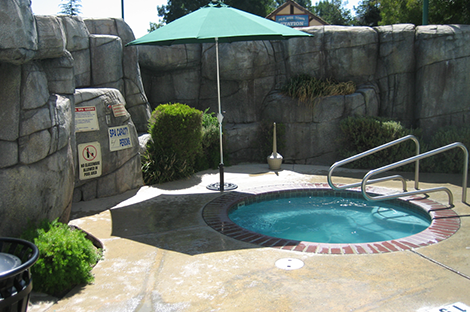 Hotel facilities include an outdoor pool (typically open May-Sept) and a lift. Bedrooms have private facilities, TV and Wi-Fi.